Hardworking is a key to success and success is what matters in every goal. No hard work no glory. There are people who are intelligent but still they can't achieve their goals unless they work hard. They might have to work a little less than others but still hard working can change you destiny. There's working hard and there's working "smart". It's important to be diligent, which is usually part of being hard-working. It's not bad, however, to find a more efficient way to accomplish goals, involving less physical and/or mental labor but still getting the job done in a fashion at least as suitable. Suddenly, after the talk, faqih and hafizi was laughing on a joke that only Perakian understand..
Aman Ismail: pernah tgok bgunan pusing2 tak? 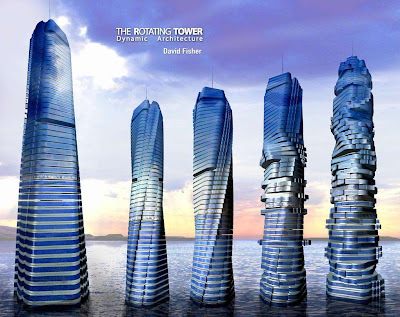 Aman Ismail: ko try usha da vinci tower, dubai..
Aman Ismail: twer 2 setiap tingkat bleh puseng..,gune solar n windmill..
Aman Ismail: satu lg.. klu kt berak kt sn, cmne kt nak tau bhn kumbhan kt 2 tak masuk kt bilik orang bwh..?? Who get the solution for this?? do take a look at it...ok.
cos ak pn mmpunyai cra study yg x btul..x mcam girls len..organized gle..
nway ak pnah tgok bgnn tu..dlm pic la..wktu tgh search info psal archi...david fisher yg reka kn...mmg kagum la ngan architecture tu..gabungan hebat architect n engineer nye....kagum2!! psl bhn kmbahan tu..bkn ke ad slurnnye yg trsndri..
"the last miniters.." ikutla mcm mne nk eja...kne edit post ni,..
i almost not understand what you're writing about, banyak sgt perkataan2 yg complex n subjective. but overall i know what you mean. Quote from Mr Chng, "You must work-heart, not work hard". Yang ni apa pulak??? One of them: his name is Fuad Zarkasi,dekat2 sama dengan nama Presiden Perancis: Nicholas Sarkozy. "No hard work no glory"
i'll remember that smpi mmpus. 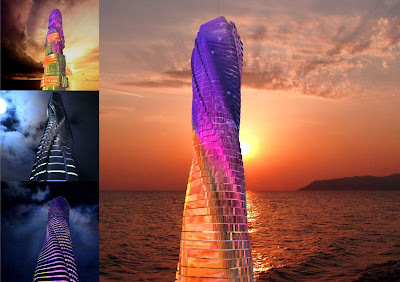 about the Da Vinci Tower, Dubai i thought only the lamp yg bley tuka2colour..
rpe ny bley pusing2 gk..
"You must work-heart, not work hard.."
Hard is included in smart..
ble kita buat dgn hati kita, secara automatik, kita akan work hard..
erk...bgunan tu l0m siap kn??? my opinion on work-heart tu en..
yelaa, buat ape yg hati kita nak/ minat..
kang petronas hantr hang gi dubai..jgn lisau...all around the world..
sbnye aku pun byk bnd nk explain psl dubai..
so ko post nnt aku topup kt comment..
maybe kne explain dlm bentuk gambar..
kan aman ckp..kalo brk cmne..
x kne org bwh ke..
mst la ade pasaknye kt tgh..
kt situ leh la nk msokkan paip ke ape ke..
tp rsenye btol la tu..
so..sape2 yg mndi ke..buang hajat ke..
sume akan ke main pipe kt tgh tu..
baru la dinyahkan trus dr bgnn tu..
kang aman dtg blk mesti tny soklan agi pelik...nnt aku msukkn dlm post..